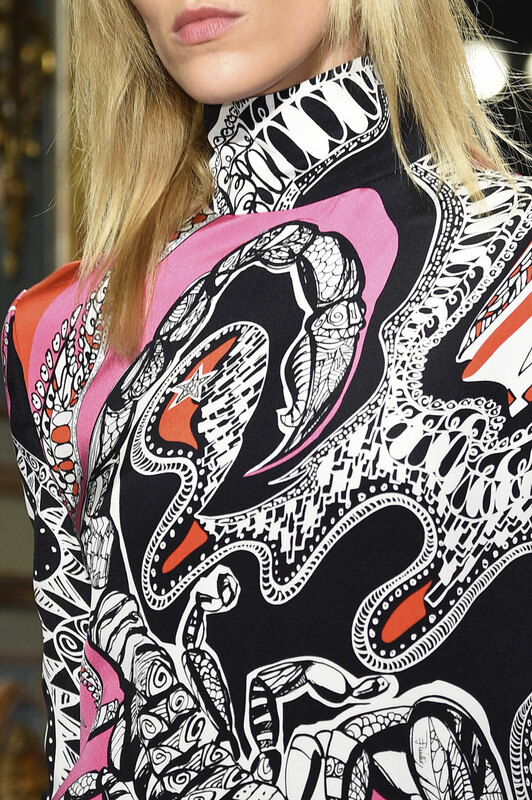 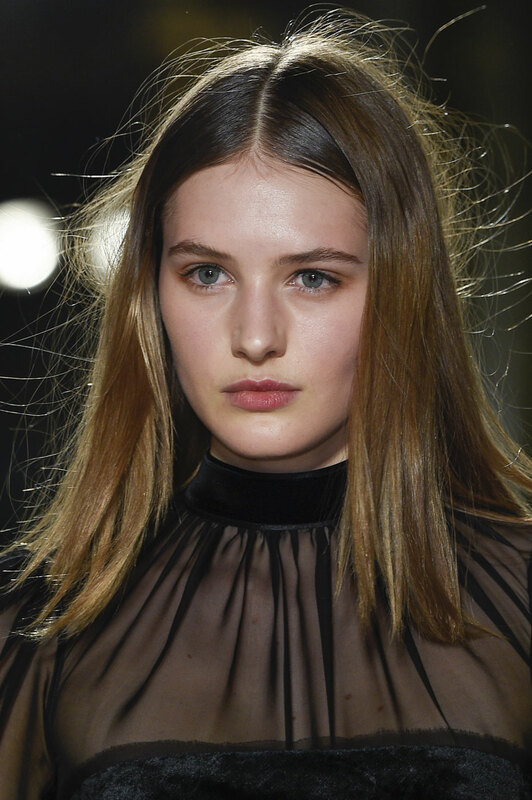 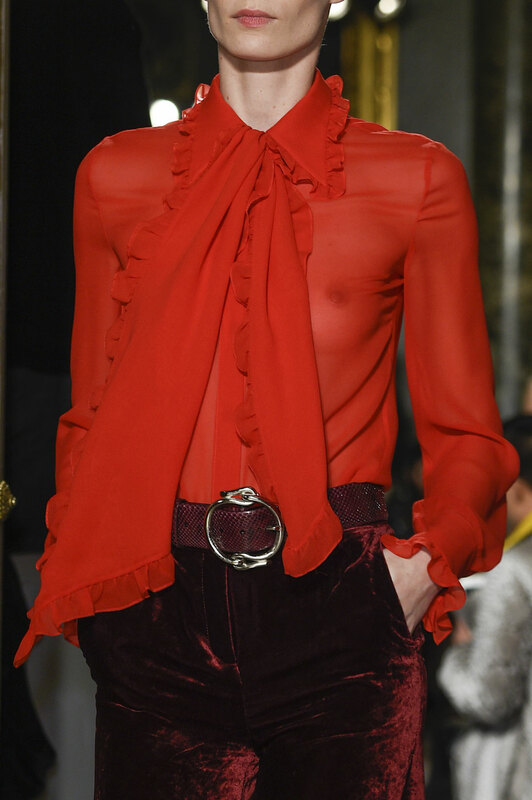 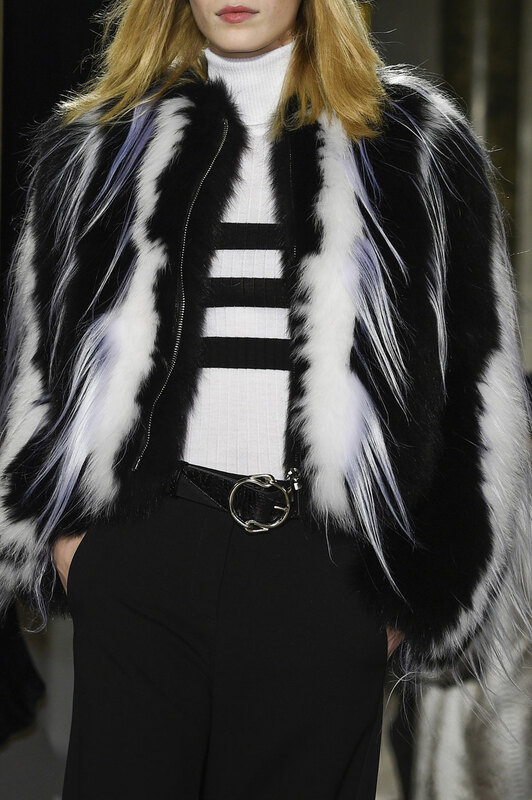 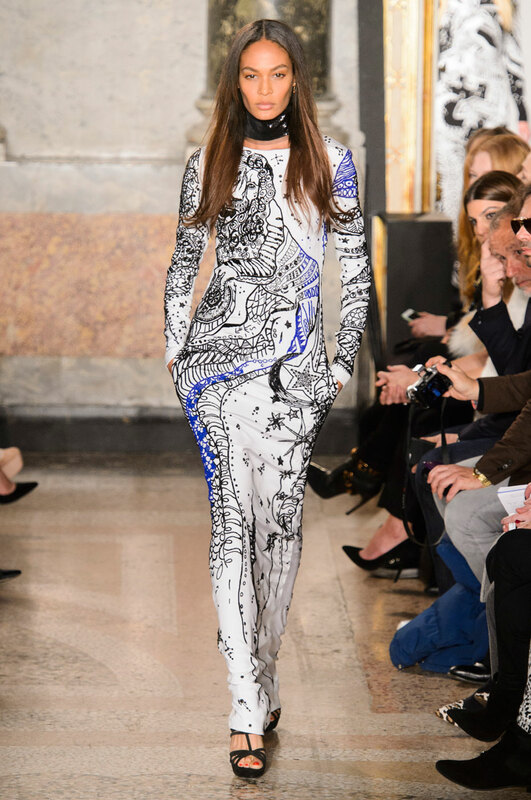 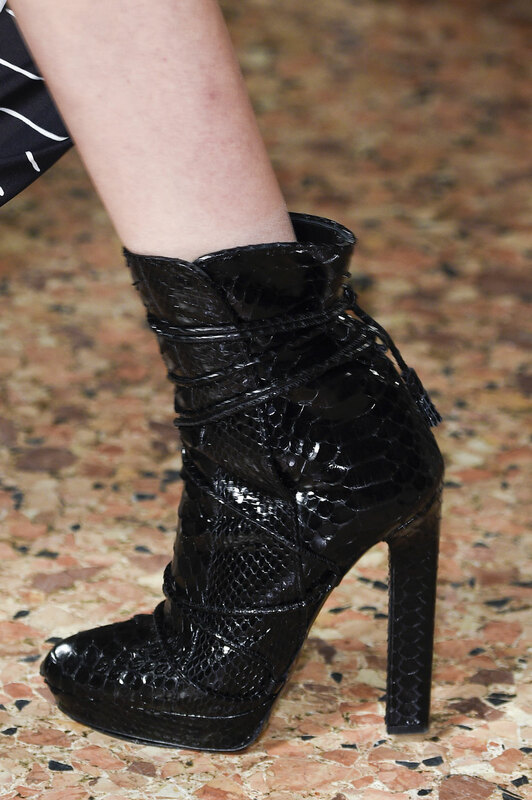 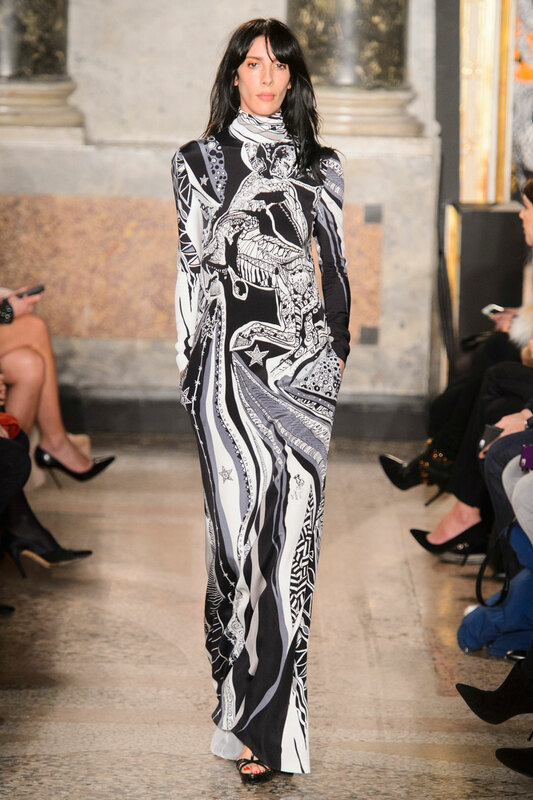 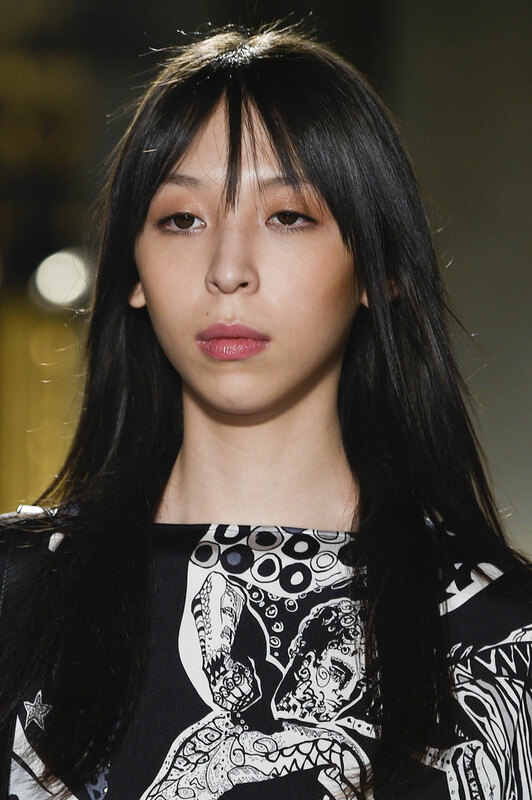 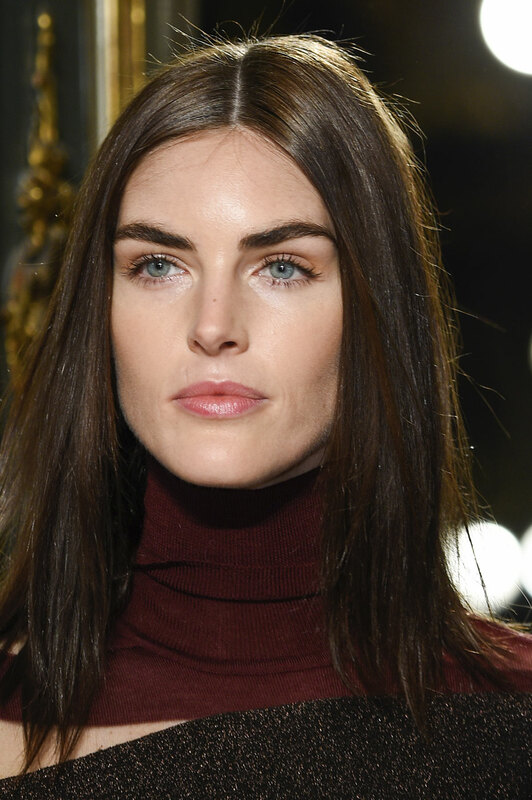 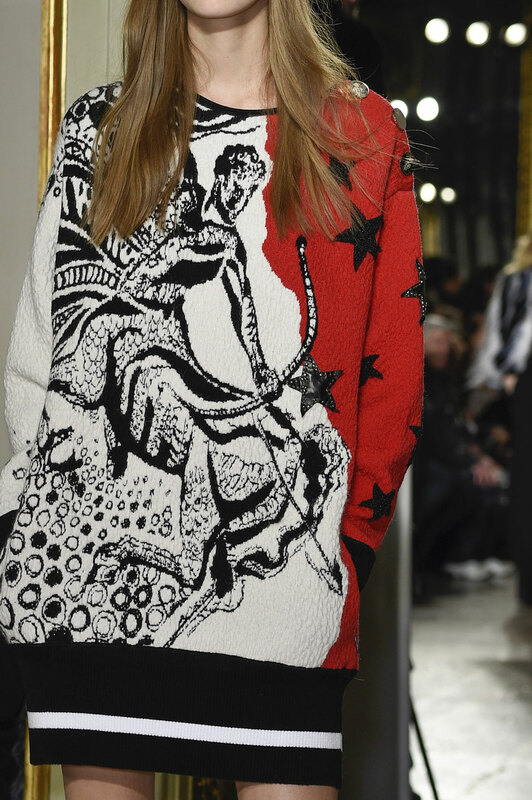 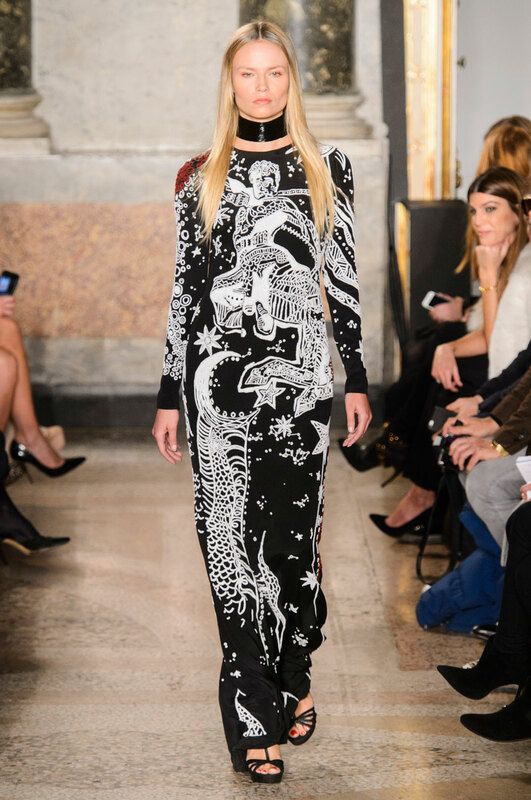 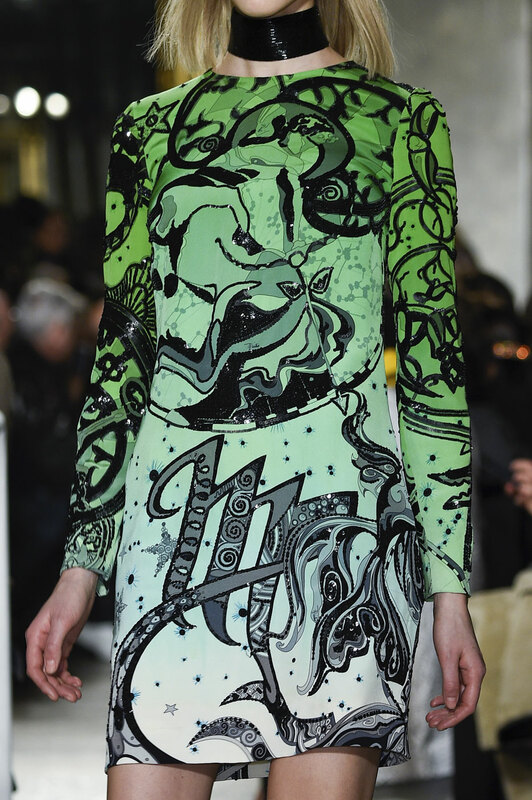 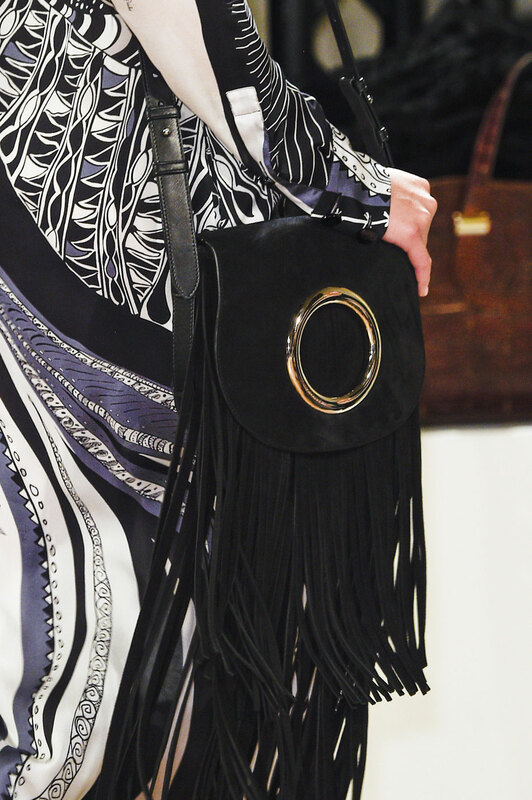 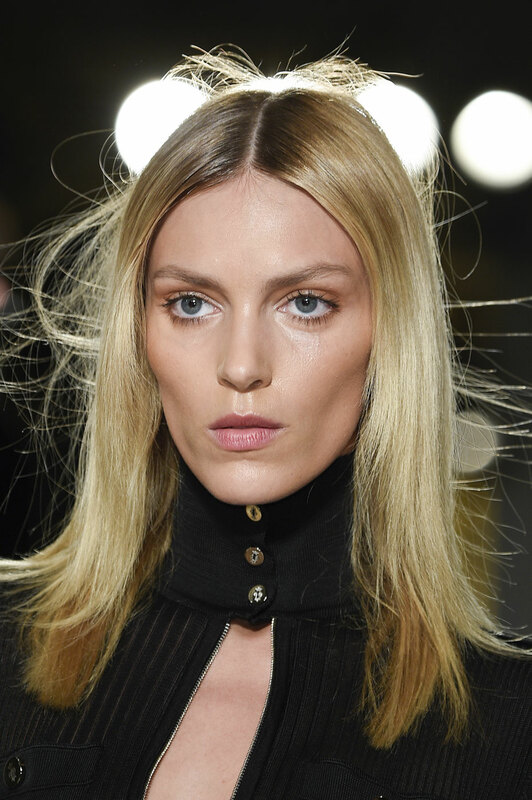 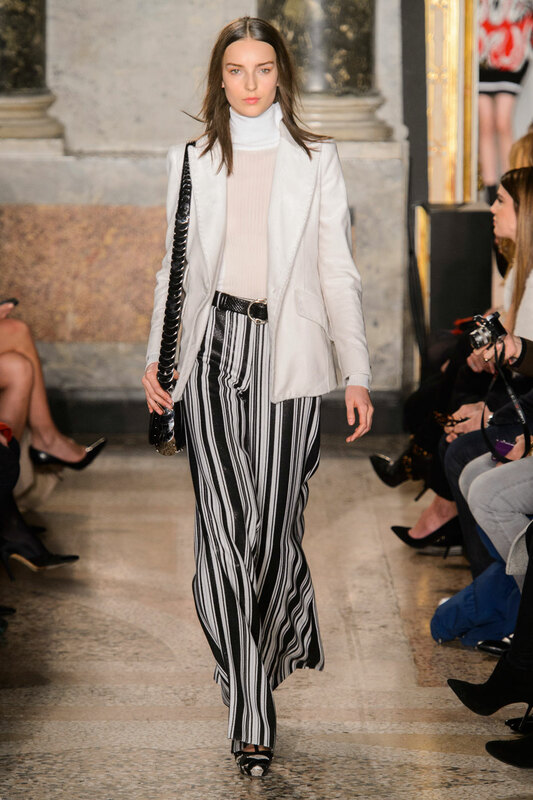 Emilio Pucci Women Autumn-Winter 2015 – There was a definite rock n roll feel combined of sixties and seventies looks this season, as Peter Dundas presented his final collection for Pucci. 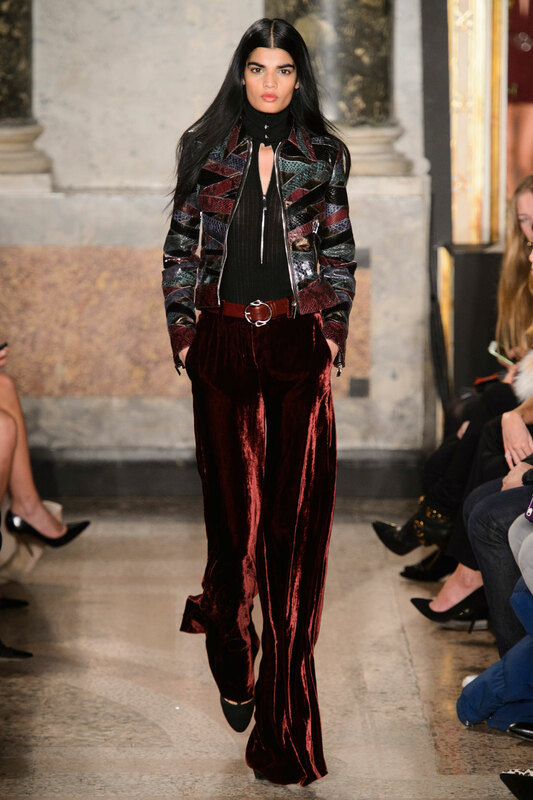 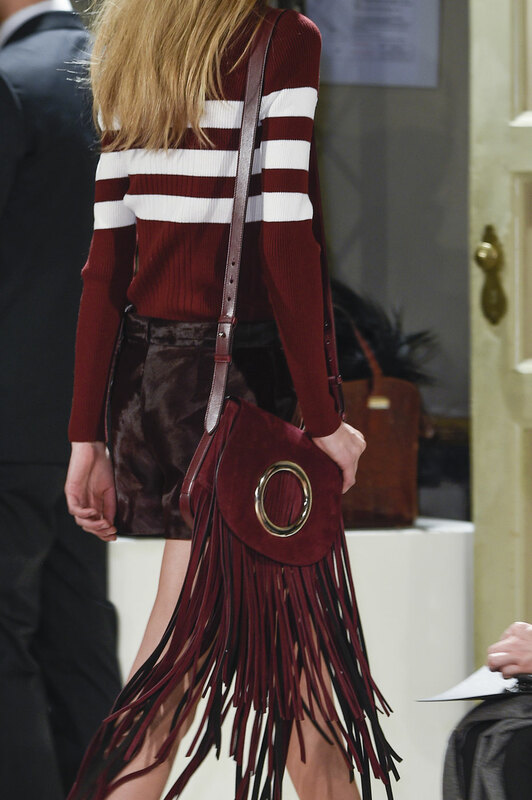 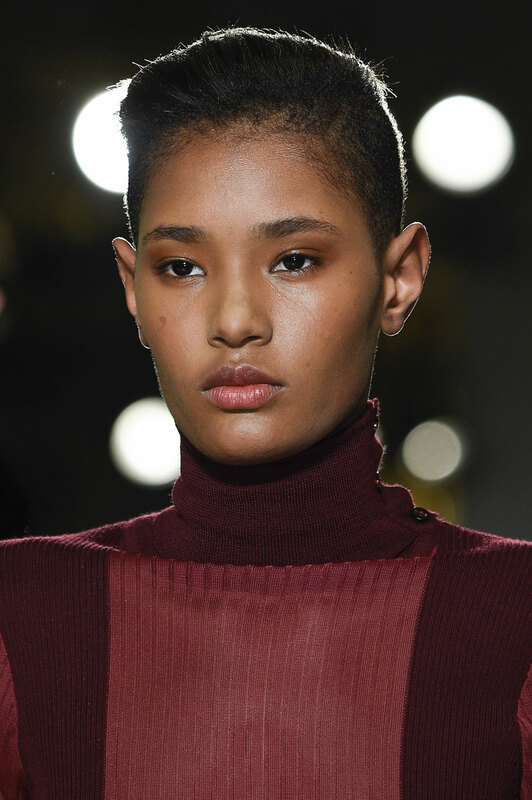 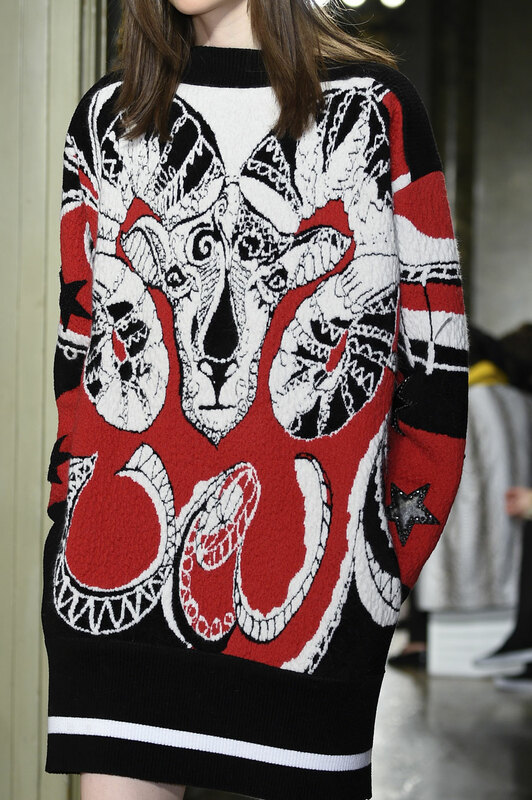 Eccentric patterns covered the runway in a variety of bright, adventurous colours along with deep velvet tones. 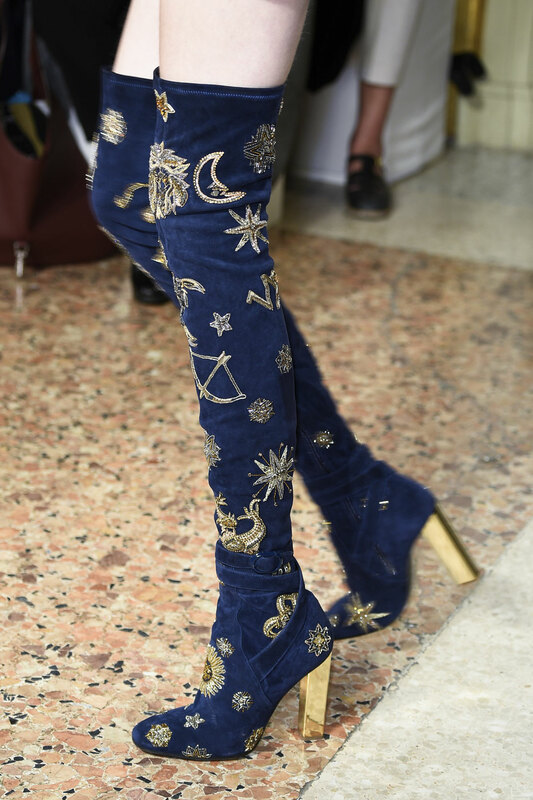 The optical patterns screamed psychedelic 70’s, complimented by loud thigh high boots all with a modern twist. 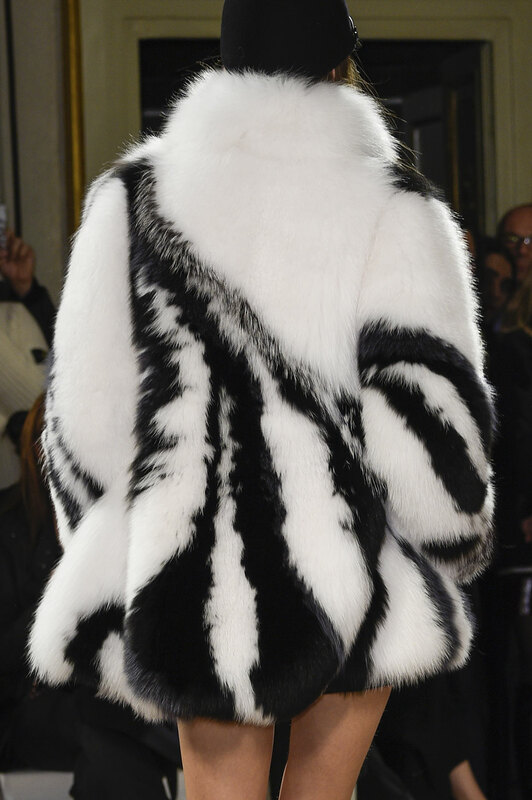 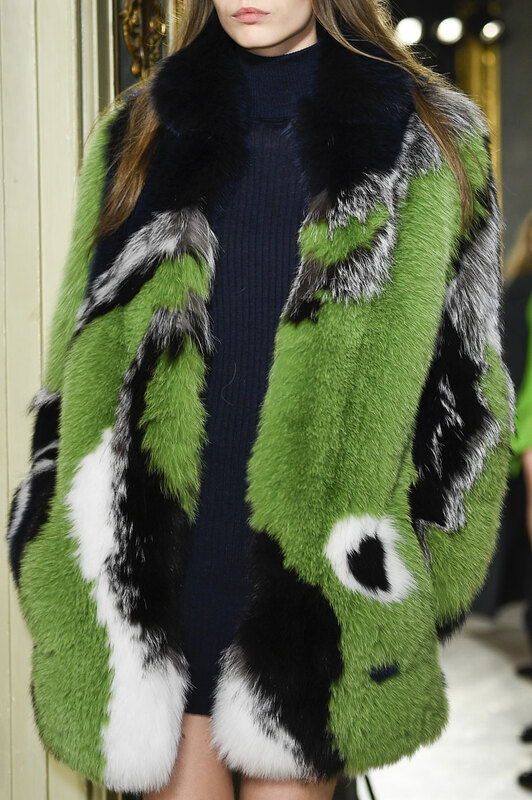 The classic velvets, furs and chiffon were upgraded with more exquisite, sharper details. 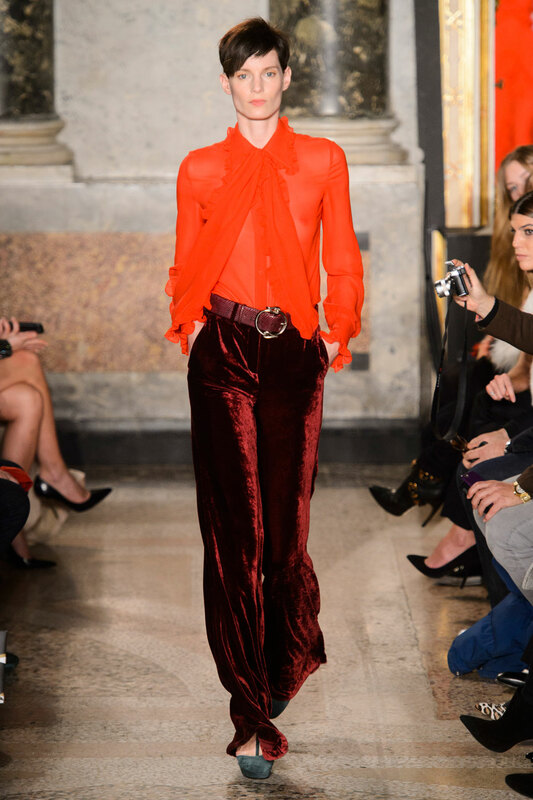 More bohemian looks contrasted against statement black wide cut trousers and polo neck tops. 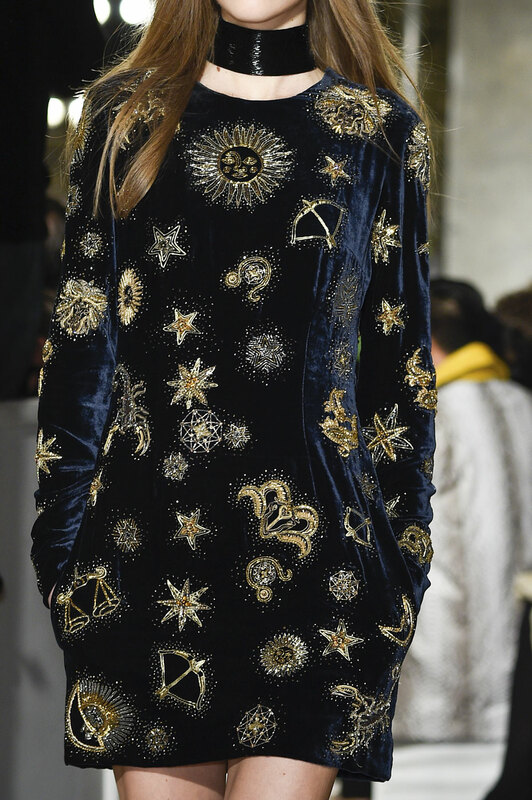 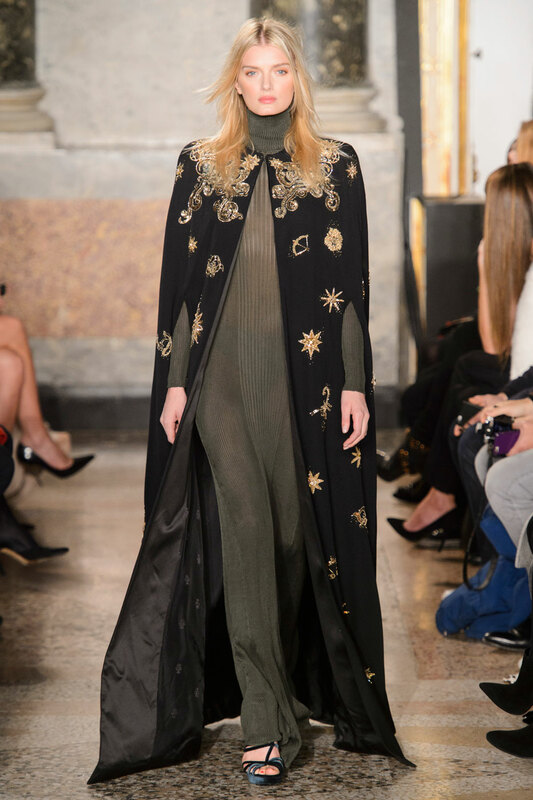 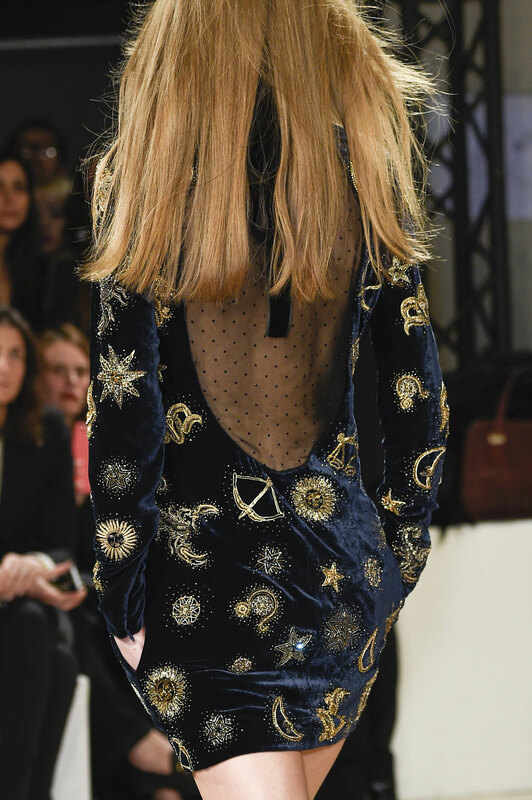 Symbols of star signs were gorgeously imbedded into rich velvets and capes, introducing a sense of royalty. 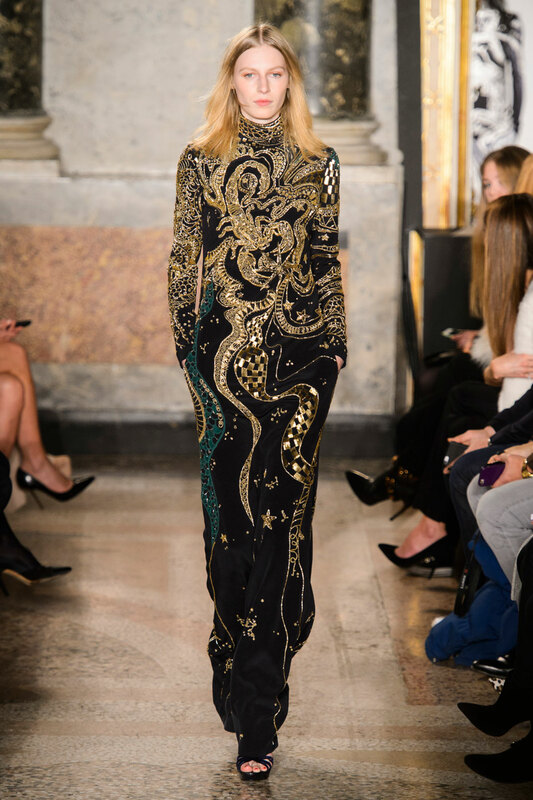 But it was the intricately beaded, floor touching dresses that added a confidently luxurious edge on Dundas’ hyper coloured collection. 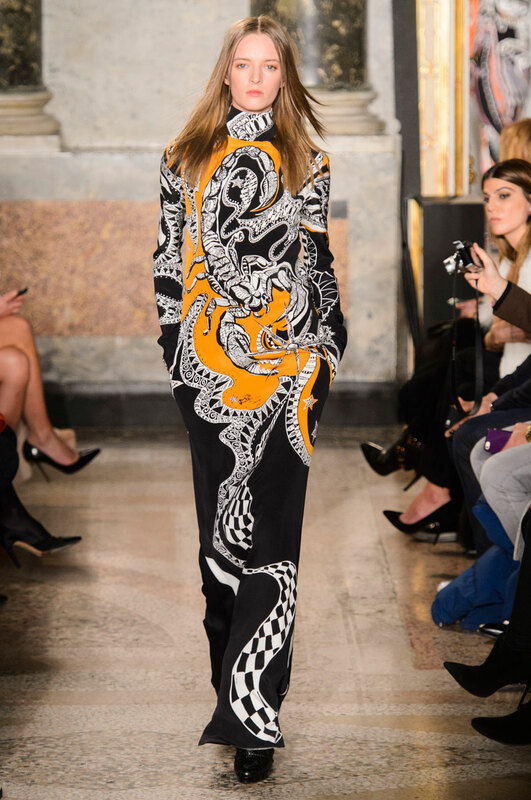 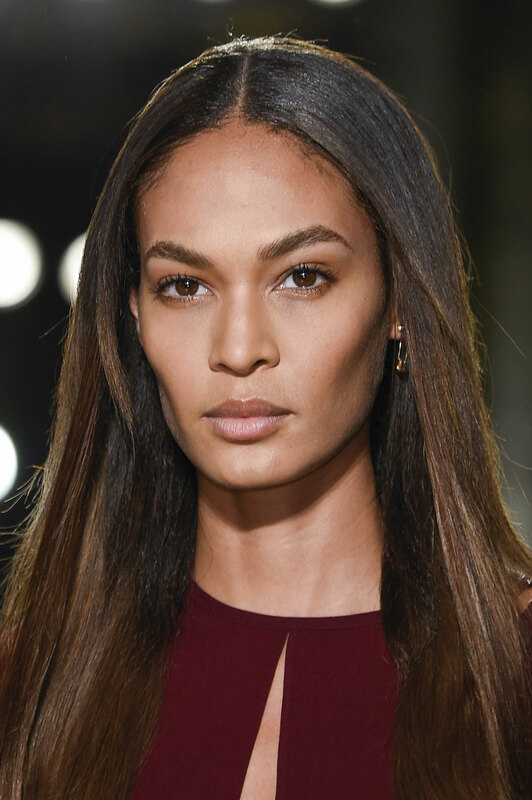 With Anja Rubik, Lily Donaldson, Joan Smalls and Eva Herzigova presenting his designs, Dundas surely presented us with an impressive finale to mark his time at Pucci.